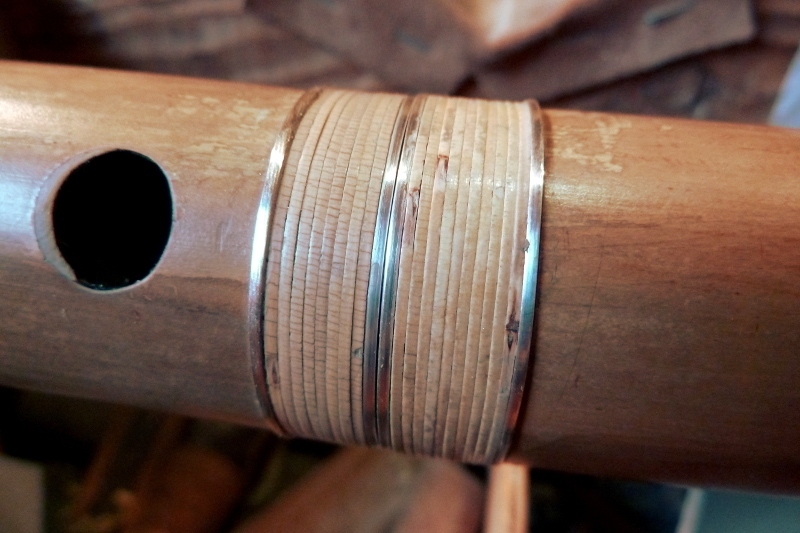 This month, I could make my first experiments on working with silver thanks to help and advices from Benjamin Boulay master jeweller in Figeac. 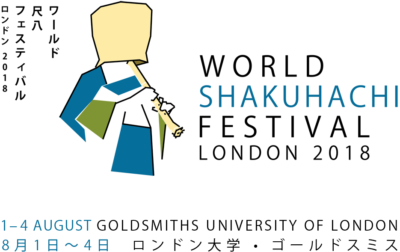 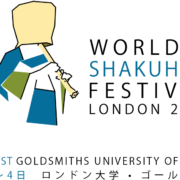 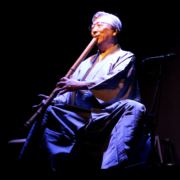 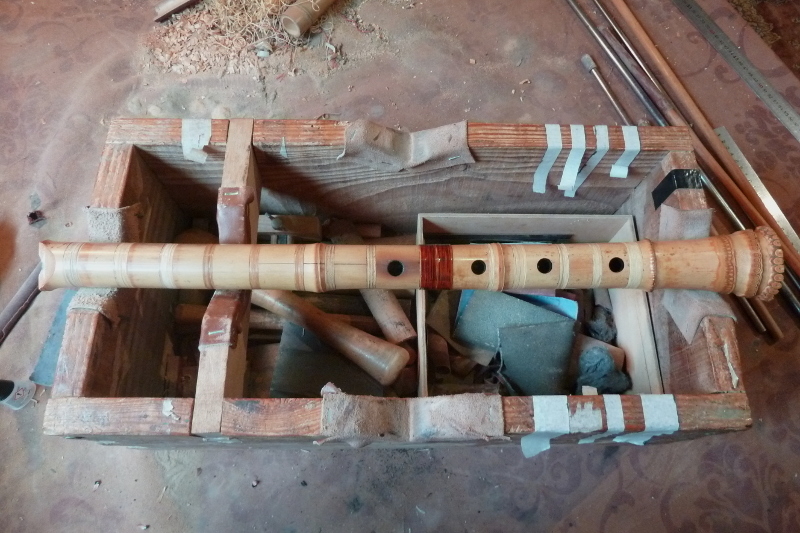 Over time, I have been working on restoring the shakuhachi given to me in London gathering. 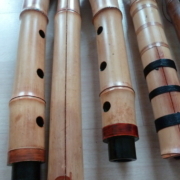 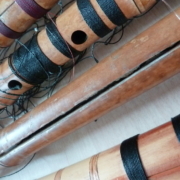 Here are three of the nice shakuhachi that I was honoured to give their voice back ! 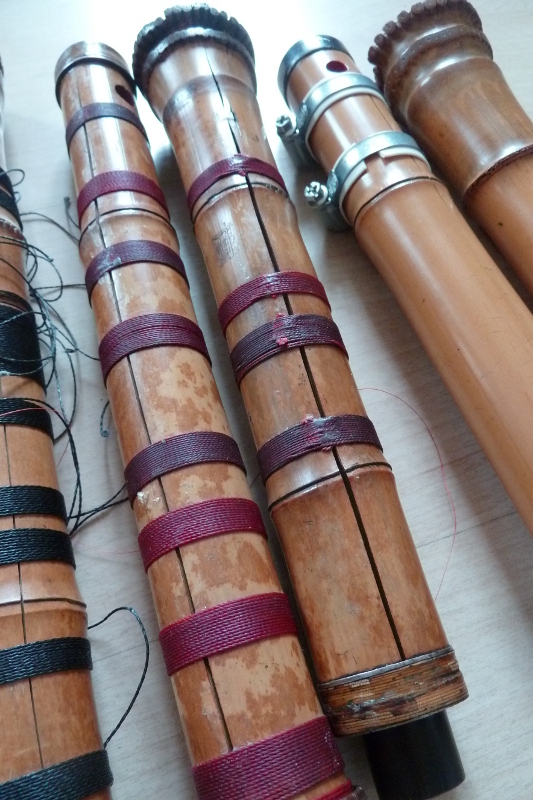 Some of these works are quite reasonable, other more delicate with traditional inlaid rattant bindings and one of them is really challenging…! 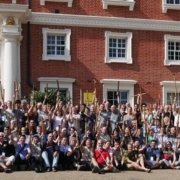 And without any special advertisement in London, I already find myself with a lot of demands. 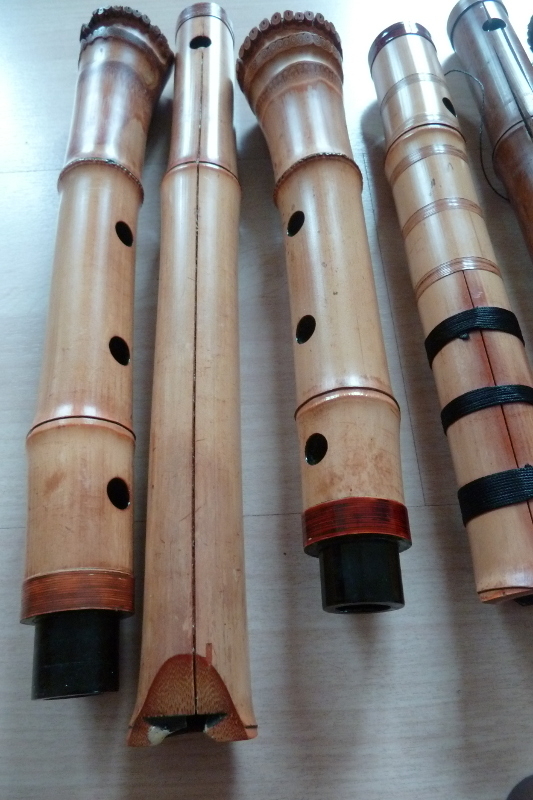 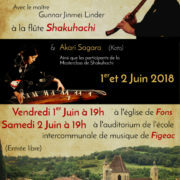 Within the next months, restoring works will represent half of my working time at the expense of my shakuhachi making but it is still a very good way for me to study more the Ji-ari flutes from different makers and periods. 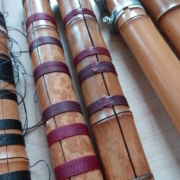 A good opportunity to perfect the ability of choosing ! 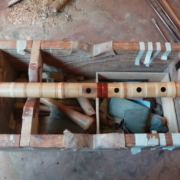 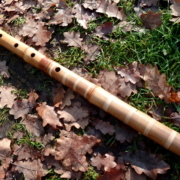 On the last weeks, I worked on restoring Alain’s flute. 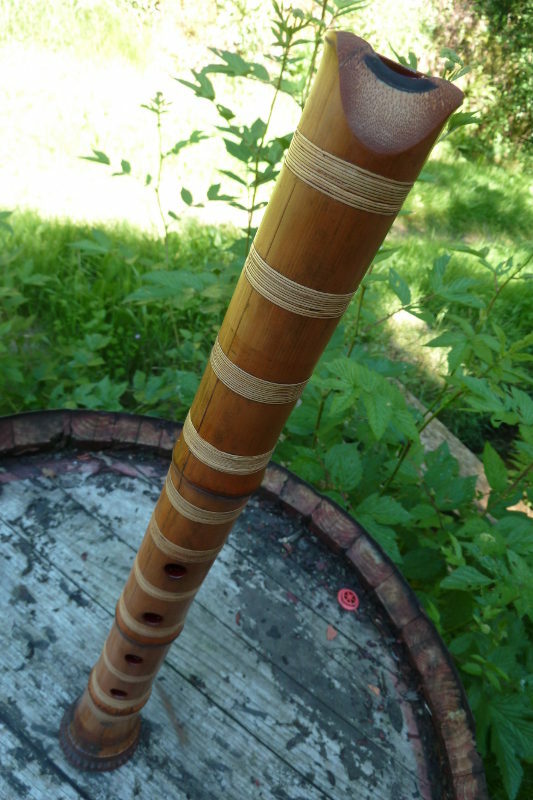 It’s a Ji-ari nobekan 1.6 Tozan about 100 years old ! 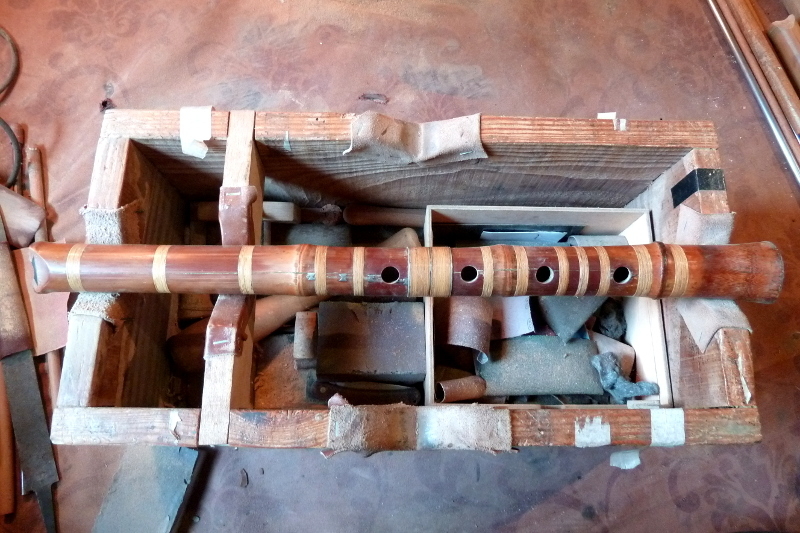 A flute he bought 20 years ago in an antique shop in Geneva; they found this flute in Kyoto. 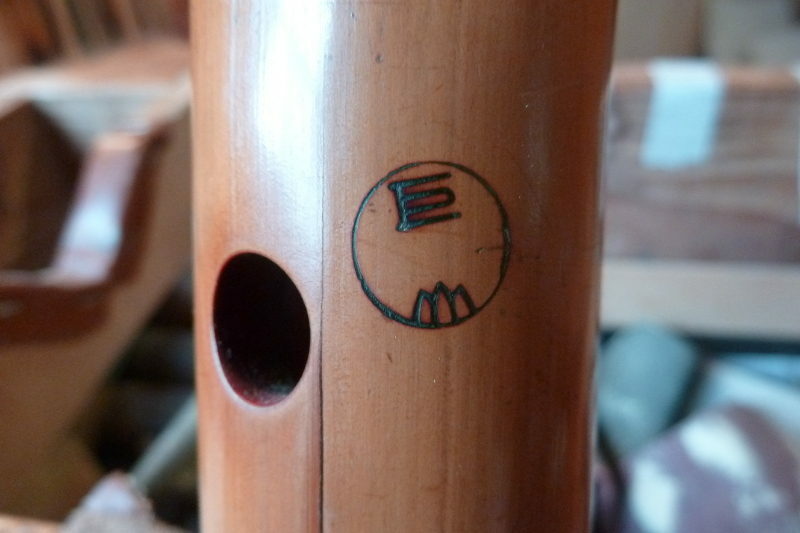 I don’t have much informations on the maker Enzon Kyozon (supposedly writer of a book on Shakuhachi making); if anyone has information on that maker, please contact me. 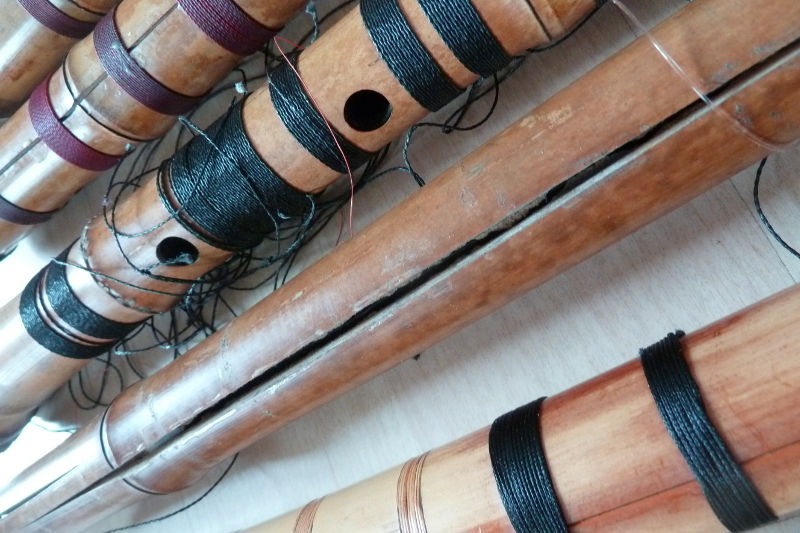 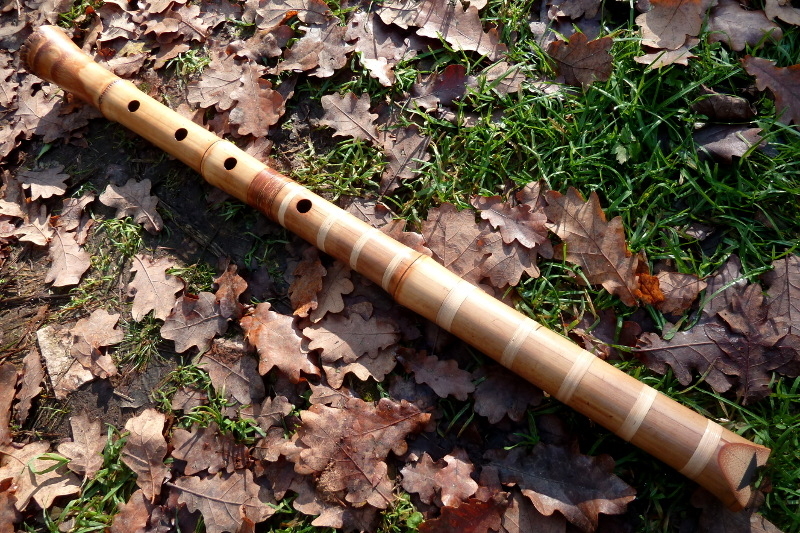 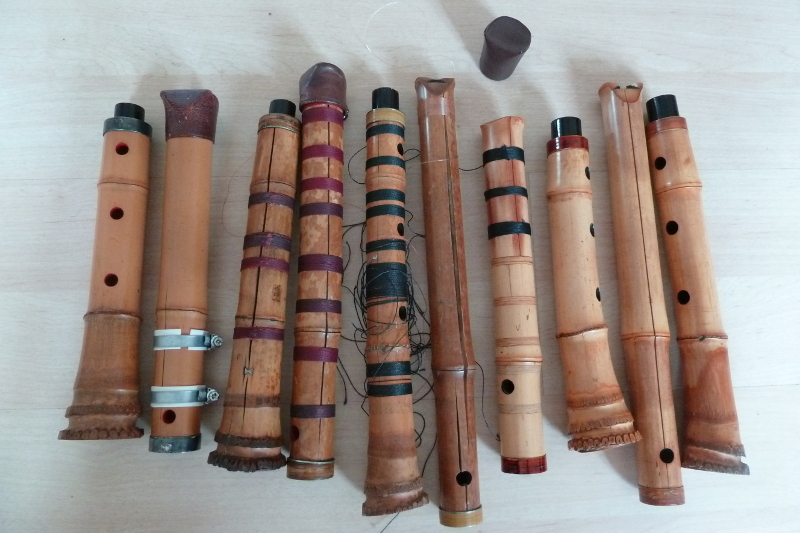 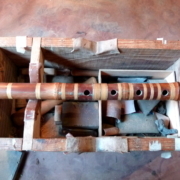 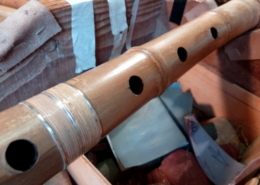 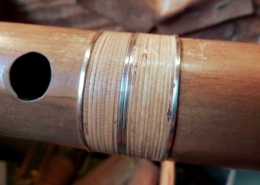 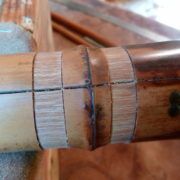 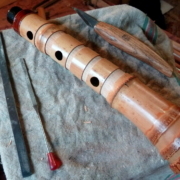 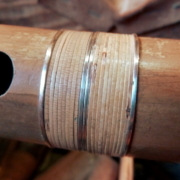 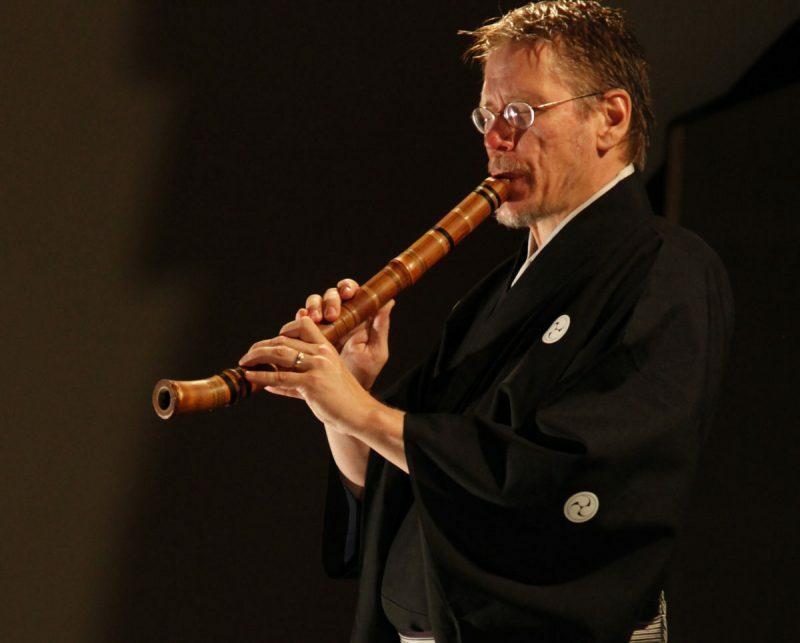 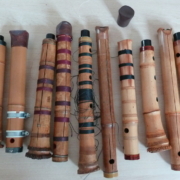 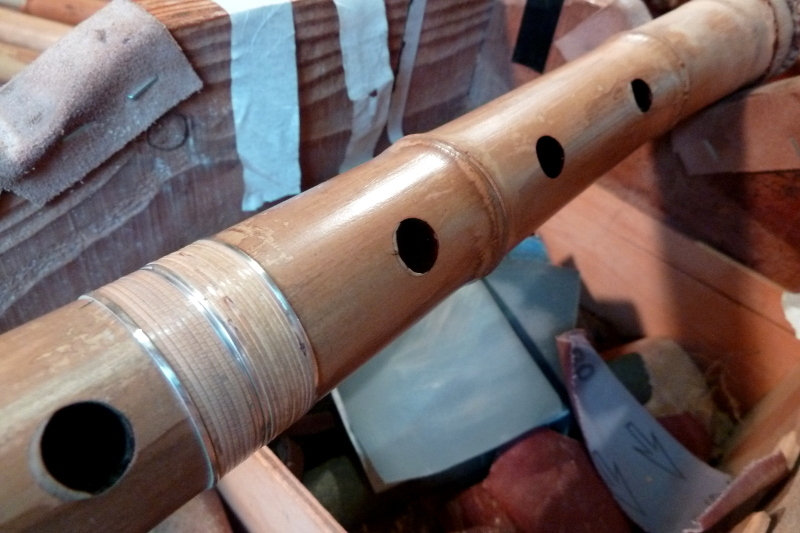 Here follows the details of the repairs I did on this Shakuhachi. 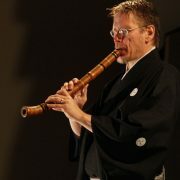 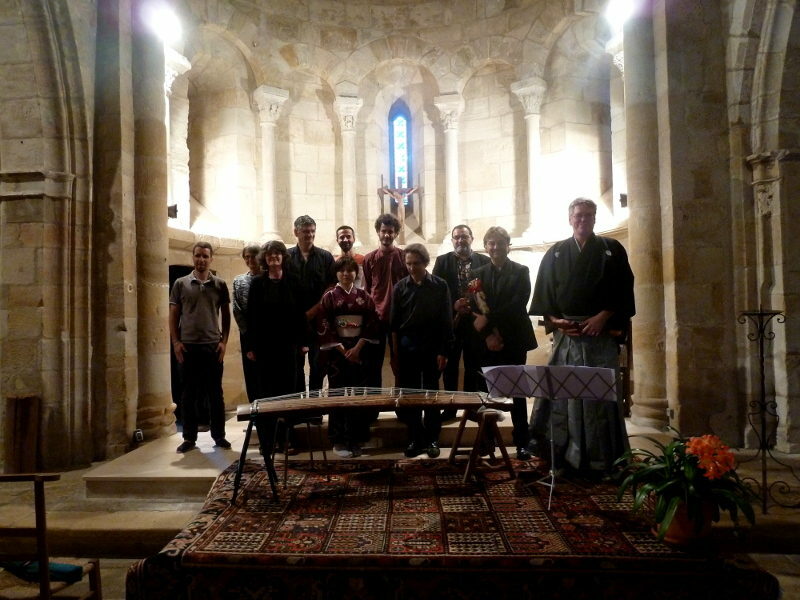 A two voices version of the famous Sakura; The beginners were playing the first voice studied the same day and the advanced played the second voice composed by Christophe Gaston. This quite a Rock’n’roll version ! 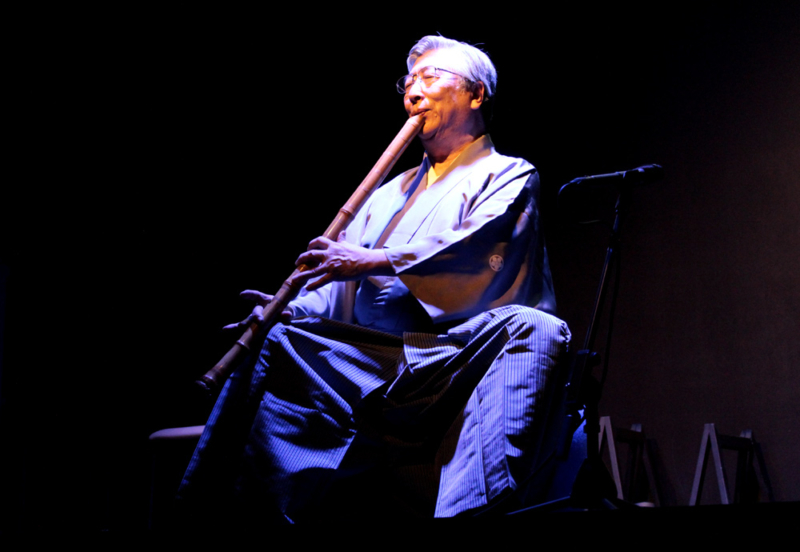 Shika no tone – Evocation of two deer (shika) calling for each other in the forest. 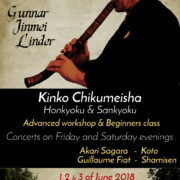 I was honoured to play it with Gunnar !